For the longest time, I was a secret writer. I wrote poems and stories and letters in secret, and didn’t think of myself as a writer. I didn’t think my thoughts or ideas or questions about the world were worthy, nor that my voice was strong or worthwhile. Did I have anything of value to share? Doubtful. 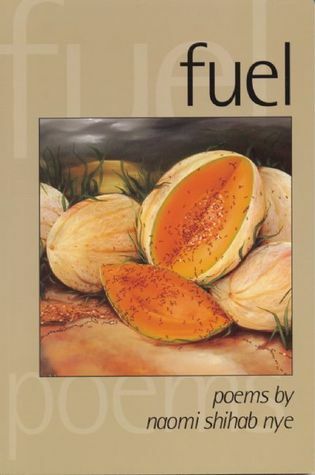 I first read Naomi Shihab Nye’s collection of poetry, Fuel, when I was in college. Nye’s poetry opened up a new world of writing to me. I’ve always been an avid reader, especially of novels, so I really can’t remember which book made me love to read. But this collection of Nye’s poetry was the first that made me a reader of poetry (that was not assigned in school). In some poems, she finds beauty in small details and quiet moments; in others, she offers larger questions about identity and language, sorrow and war. Nye is the daughter of a Palestinian father and American mother, and she writes about her background with perfect grace and dignity. I, too, was raised surrounded by the language of multiple cultures: my father was Greek Orthodox and had survived World War II, while my mother was of Russian-Jewish descent. Nye was the first writer who talked about the experience of being “half-and-half.” Her poetry spoke to me on many levels. She helped me see that my stories had worth. The first poem in this collection is “Muchas Gracias Por Todo,” in which she gives thanks to the river, to grapes, to “a soft place in the middle of the evening.” I would like to give thanks to Naomi Shihab Nye, and this book in particular, as she let me know my thoughts, ideas, and questions were important. She inspired me to keep writing. E. Katherine Kottaras writes and teaches in Los Angeles. She has her M.A. in English from the University of California and now teaches writing and literature at Pasadena City College. Her debut novel, How to Be Brave, was released on November 3, 2015. Her next novel, The Best Possible Answer, is tentatively set to release in the fall of 2016.